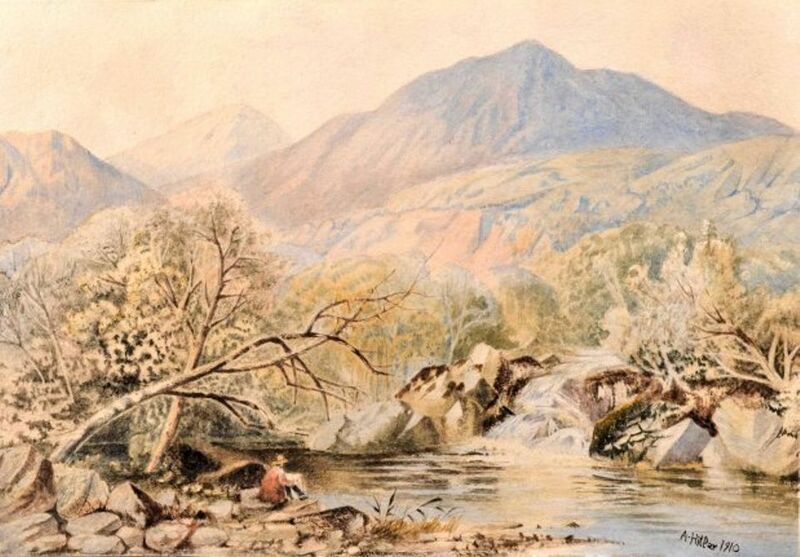 Police officers have seized three watercolours attributed to Adolf Hitler that were on sale at a Berlin auction house yesterday (24 January) on suspicion that they are forgeries, according to a tweet from the city police’s Twitter account. Auktionshaus Kloss, the company that had planned to sell the watercolours on behalf of an unnamed private consignor, obtained a certificate of authenticity for the watercolours, a spokesman says. The auction house maintains that the three paintings, signed A. Hitler, were painted by the Nazi leader in 1910 and 1911. According to the police, a Berlin court ordered their seizure on suspicion of document forgery and fraud. While using Nazi symbols such as swastikas is illegal in Germany, the sale of Hitler’s paintings is permitted. Auktionshaus Weidler in Nuremberg, for instance, offered 29 of Hitler's works in 2016, most of which went unsold. The watercolours on offer at Kloss—all landscapes—were allocated a minimum price of €4,000 each, according to the Berlin tabloid newspaper BZ. “The subjects of the paintings are free of ideology and don’t reflect the fact that the person who produced them is one of the biggest criminals in human history,” a statement issued by Auktionshaus Kloss says.